The Pennsylvania Supreme Court has just decided the case of Commonwealth v. Mathis, holding that a parole agent may detain and frisk a non-parolee visitor to the parolee’s home while performing a routine home inspection if the parole agent acts on reasonable suspicion that the visitor is engaged in criminal activity and armed. Commonwealth v. Mathis - Can a Parole Agent Search Someone Who Is Not On Parole During a Routine Home Visit? In Mathis, parole agents conducted a routine check of a parolee’s home which was located in a high crime area in Dauphin County. When they arrived, they immediately recognized the strong odor of marijuana throughout the home. As they walked through the house, they observed the defendant, Mathis, receiving a hair cut from the parolee who they were there to check up on. The parolee identified the parole agents to the defendant, and the agents then questioned the parolee as to why the house smelled like marijuana. The agents also found an ashtray full of marijuana roaches in the front room, but they did not see anyone smoking marijuana. While one of the agents questioned the parolee, the other agent monitored Mathis. Mathis repeatedly got up from his chair and walked to the kitchen, apparently checking text messages on his cell phone. The parole agents asked him to stop using the cell phone while they were there because he seemed nervous. They asked him to leave until they finished speaking with the parolee. Mathis began to leave, and as he gathered his belongings, one of the agents noticed that he picked up his jacket as if holding it up to his body like a football or a baby. Mathis appeared to try to put his body in between the agents and the jacket, and he continued to hold it in a strange manner. The agents also noticed a bulge coming from the jacket which was roughly the size and shape of a gun. The agents became concerned for their safety, so they asked Mathis if they could pat him down. He refused, but one of the agents reached out and touched the jacket. The agent immediately felt what he believed to be a firearm. They then handcuffed Mathis, patted him down, recovered a bag of marijuana from between his feet, and recovered a handgun from the jacket. Because Mathis was prohibited from possessing a firearm due to his prior criminal record, the agents called the police. The police arrived, recovered the gun, and charged Mathis with gun charges, marijuana charges, and possessing drug paraphernalia. Mathis filed a pretrial motion to suppress the gun, arguing that the parole agents had no right to search him because he was not on parole. The trial court denied the motion to suppress, found him guilty of drug possession and gun possession, and sentenced him to thirty-two to sixty-four month’s imprisonment. Mathis appealed, and the Superior Court affirmed. The Pennsylvania Supreme Court reviewed the case and upheld the decision of the Superior Court. The Court concluded that parole agents may conduct a Terry frisk under these circumstances for their own safety. Although parole agents may not act as police officers with respect to non-offenders or private citizens, they do have the right to protect themselves. Parole agents are required to supervise offenders in part by conducting routine, unannounced home visits, thus risking exposure to a variety of potentially dangerous unknowns. Interactions with non-offenders are often going to occur during home visits, and parole agents have an obligation to make sure that the parolee is not living or associating with people who have been convicted of certain criminal offenses. Parole agents are also legally classified as “peace officers,” giving them the power to make a lawful arrest upon reasonable suspicion of a felony and the authority to use deadly force to protect themselves and carry firearms. Because a parole agent has the authority to use deadly force for the protection of himself or herself and others, the agent has the authority to prevent the need for deadly force in the first place by conducting a Terry frisk when necessary. Finally, the Court noted that the purpose of the Terry frisk is not to conduct an investigation or find evidence; instead, it is merely to check for deadly weapons so that the officer can do his or her job without fear of bodily injury. Accordingly, the Supreme Court concluded that a parole agent may conduct a frisk for weapons so long as the agent has reasonable suspicion to do so. Reasonable suspicion requires “specific and articulable facts” that criminal activity is afoot, and the authority to frisk also requires that the officer or agent have reason to believe that the suspect is armed and dangerous. Unfortunately, the Mathis Court's decision serves to eliminate important privacy rights for anyone who associates with someone who is on state parole. If someone has the bad luck to be present at a parolee's residence when agents show up to conduct an unannounced search, that person will now be at risk of being searched by parole agents despite the fact that they are not even on parole. This is particuclarly true for anyone who lives with someone who is on state parole; that person will now have substantailly reduced privacy rights just by virtue of who they live with. However, some protections remain in that the parole agents are still required to have reasonable suspicion and cannot conduct a search for general investigatory purposes. Therefore, motions to suppress will likely still be brought in many of these cases. If you are facing criminal charges, we can help. 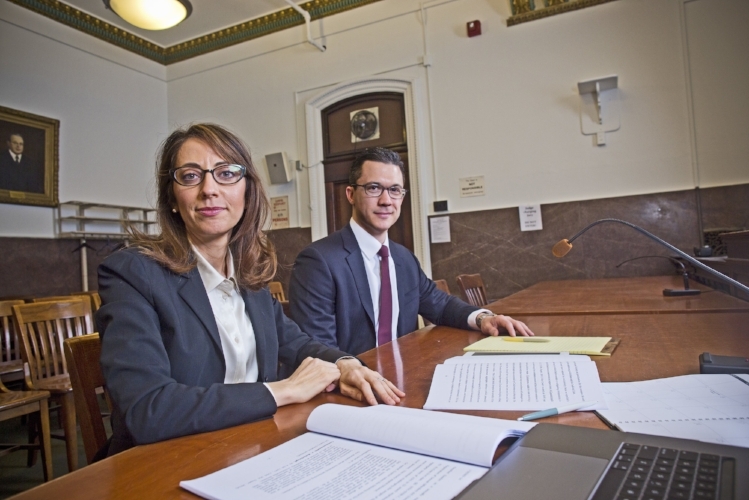 Our Philadelphia Criminal Defense Lawyers have successfully defended thousands of cases. We offer a free, 15-minute criminal defense strategy session to any potential client. Call 267-225-2545 to speak with an experienced and understanding defense attoreny today.